Finished another sketchbook and started a new one. 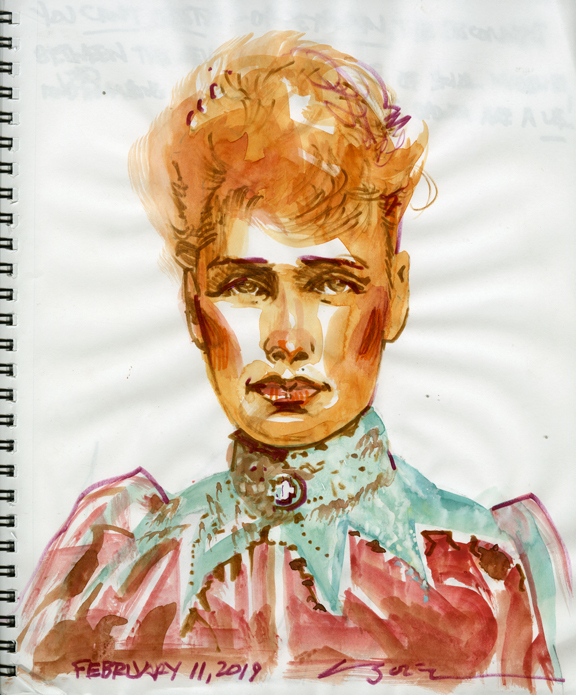 Wanted an inspirational first page, so I went home for lunch today and did this portrait of a woman I admire. Daily Whip Out: "Lady In Red"
Ever see a photograph that looks like a Frederick Remington waiting to happen? This is a C.S. 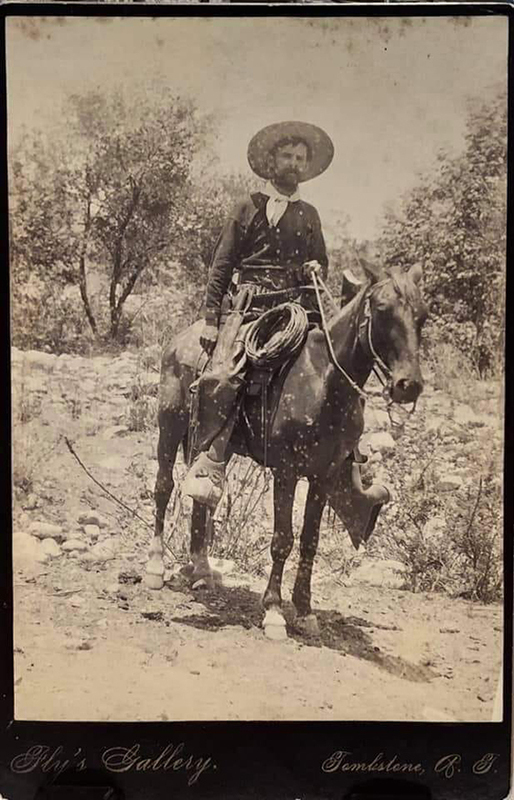 Fly photo, so it must be from southeastern Arizona back in the day. THIS is how I envision the Cow-boys! Is that a machete stuck in his chaps? The current Alamo and Golden Spike issue of True West is simply outstanding. Hats off to you and your entire staff.